Estonia has quickly become a hot spot for online gambling in the last few years. The country can be found in the Baltic region of northern Europe. With coasts on both the Baltic Sea and the Gulf of Finland, the country is home to 1.3 million people. Occupied by the Soviet Union for much of the 20th century, Estonia was granted independence in 1991 and became a democratic republic. It joined the EU in 2004 and adopted the Euro as its national currency in 2011. In this guide to online sports betting in Estonia, you can first find an overview of the growth of the industry within the country. Then online sports betting in Estonia is covered along with the taxation you could be liable for. After this, the accessibility of online sites for Estonian residents is covered followed by thoughts about possible changes in the future. Under Soviet rule, all forms of gambling were made illegal in Estonia until independence in 1991, although this did not stop a black market of illegal betting. Straight away the new government began to look for ways to regulate and tax the gambling industry, which started with a state lottery in 1994 and was followed by the broader Gambling Act of 1995 . This allowed all forms of gambling and set in place a structure where operators could be licensed. Sports betting is now a popular pastime for many Estonians. The major bricks and mortar operator is Spordiennustus, a company operated by the Estonia Olympic Committee, which is also responsible for a large percentage of Estonia’s casinos. Along with fixed odds betting, pari-mutuel betting is popular especially in the horse racing markets, an area which proves to be extremely popular despite only one track existing in Estonia at the Tallinn Hippodrome . They also run Olybet and Olympic Poker two of the most popular gambling sites in Estonia. 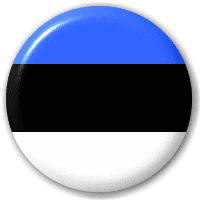 With no regulation addressing online sportsbooks, Estonia continued to allow foreign companies to offer gambling services to its citizens until further gambling laws were passed in 2008 to add structure to online gaming. This was in response to the worldwide financial crisis and online gaming was seen as a source of income through fees and taxation. 2010 saw the first local websites become licensed and foreign companies blacklisted, although this proved hard to enforce . The option of becoming licensed was extended to international companies in 2011 although take up was slow as a key requirement required the company to be operating servers in Estonia. This was removed in 2012, which along with the low taxation of 5% on revenue resulted in an increase of companies looking to become licensed. Now there are numerous legal internet sportsbooks to choose from, both domestic and foreign. This has enabled both the operators and government to gain substantial income from the legal sites and allowed Estonian residents to enjoy a wide choice of sites. Many of the larger bookmakers licensed elsewhere in Europe have decided EU law should cover their operations and have managed to continue to provide their services to Estonia despite blocks. Like many other EU citizens, Estonians can enjoy their sports betting winnings tax-free, with no need to disclose amounts won on income tax returns. The companies are liable to pay 5% tax on their revenue which is among the lowest rates in the world. While the domestic sites fully cater for Estonian customers, most international bookies that accept Estonians do not provide Estonian translations on their sites. If you choose to wager on these you will have to either choose another language you are comfortable with or rely on browser translations. The Euro, on the other hand, is widely accepted as a standard currency on many sites. You can normally deposit or withdraw via the same methods in Estonia and in the few cases you cannot the site normally provides an alternative means to get your winnings out, normally a check or bank transfer. Credit or debit cards are the most popular for many people and Visa and MasterCard are widely accepted. Online wallets such as NETeller and Skrill can allow you to make quick payments online with low charges, or you could use a prepaid method like Ukash or Paysafecard. While there seems to be little desire from anyone to radically change a current law in Estonia, the current system appears to be working well for all parties, although there are still limitations attempted on unlicensed operators. Larger bookmakers particularly would prefer a situation where they did not have to pay a large license fee to be classed as legal, although restrictions are far less severe than other EU countries. Proposed amendments which have been discussed focus on keeping the activities safe and protecting problem gamblers. These include a national self-exclusion list and regulation for betting and deposit limits. Many respectable operators provide these as options anyway to help promote themselves as a responsible gambling company .